Sale tract features public road frontage on Hall Road and contains relatively flat topography with young jack pine forest. An existing woods road facilitates access into the interior of the property and also serves as an easement access for the adjacent landowner to the south. 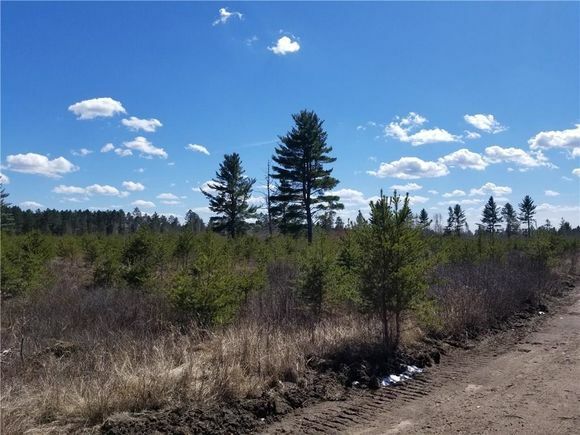 Sale tract is located near thousands of acres of Bayfield County forest. Tract was enrolled in the Managed Forest Law (MFL) program in 2004 (MFL 04-060-2004). From Drummond at the intersection of US-63 and County N, head west on County N for 8 miles, turn right (north) onto County A for 2 miles, turn left (west) onto Hall Rd for 1 mile. Property on left (south). The details on On Hall Road: This land located in Barnes, WI 54873 is currently for sale for $45,600. On Hall Road is a – square foot land with – beds and – baths that has been on Estately for 4 days. This land is in the attendance area of Drummond Middle High School.